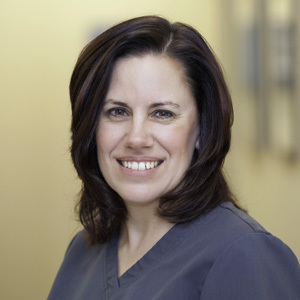 Kelly is a licensed veterinary technician that earned her Associates degree in Veterinary Technology from Wayne County Community College in 1997. She has over 20 years of emergency veterinary experience and is also a member of the National Association of Veterinary Technicians in America (NAVTA) and the Michigan Association of Veterinary Technicians (MAVT). Kelly began her career with an internship at the Detroit Zoo, and then worked at an exotic animal veterinary practice for 3 years. She also taught veterinary technology for 4 years at Baker College of Clinton Township. Kelly has been with AEC since 2010. Kelly loves the variety of tasks there are with emergency medicine. "No case is the same! I like to help people to feel comfortable that their pets are in good hands. We treat everyone's pets as if they were our very own!" Kelly has two 2 cats at home and loves to work with horses. She has also fostered many abandoned kittens and wild rabbits throughout the course of her career.